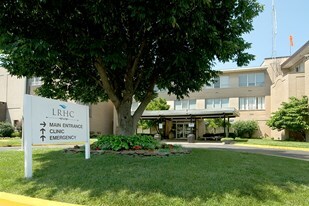 Lafayette Regional Health Center is located in historic Lexington, Missouri, 50 miles east of Kansas City. This primary care facility offers a comprehensive array of services in a small town environment. Patients enjoy the comfort of knowing they're receiving quality healthcare in their hometown. Named by The Joint Commission as one of the nation's top performing hospitals for achieving key quality measures for pneumonia care for 2010. The whole family will enjoy this community's abundance of recreational facilities, including well-equipped parks, fishing lakes, volleyball courts, horseshoe pits, hike/bike trails, a baseball complex, a water park, with a 140-foot open flume water slide, youth activity center.